The Toronto Real Estate Board reported that there were 9,635 condominium apartment rental transactions in the third quarter of 2015. This result represented a 22.6% increase compared to Q3 2014. The annual increase in rentals was slightly greater than the annual increase in the number of units listed for rent. One-bedroom and two-bedroom units accounted for almost 95% of condominium apartment rentals. The number of one-bedroom apartments rented was up by 24.7% compared to Q3 2014. The number of two-bedroom apartment rentals was up by 18%. “Investor-owned condominium apartments remained a very popular option in the third quarter and, indeed, over the past year as well. Strong growth in rental listings were matched by strong growth rental transactions. This tells us that there are a lot of households looking to rent in the Greater Toronto Area and that many of these renters are choosing units in recently completed condominium apartment projects,” TREB President Mark McLean. Average rents for one-bedroom and two-bedroom condominium apartments were up year-over-year by 1.9% and 2.2% respectively to $1,657 and $2,241 per month. These rates of growth outpaced the annual rate of inflation in the third quarter. 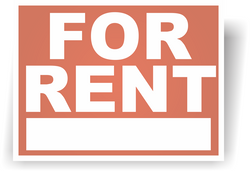 “There was enough competition between renters in the third quarter to prompt moderate growth in average rents. Furthermore, rental market conditions through the first three quarters of 2015 suggest that condo rental vacancy rates have remained low from a historic perspective. With this in mind, it is reasonable to assume that positive average rent growth will be sustained through the end of the year and into 2016,” said Jason Mercer, TREB’s Director of Market Analysis.